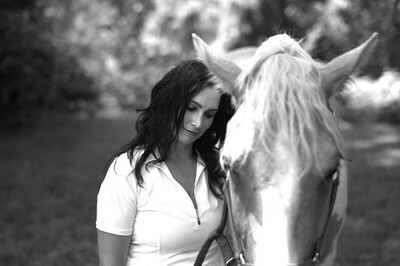 I am a certified equine and canine sports massage therapist, writer, and photographer for the blog, The Timid Rider based in Central New Jersey. I provide horse show photography, personal photoshoots, as well as photography for marketing campaigns. While I of course shoot some posed images, I tend toward candid and action shots that show our true selves and the individual personalities of your animals. *All packages come with a personal-use license. Please inquire for pricing, or click the booking link below for details. No images may be further edited by the recipient. Commercial inquiries please contact me at heatherpwallace@yahoo.com. Private photography session perfect for full day photo shoots, editorials, barn promotion, and horse shows. Private photo gallery. Private photography session perfect for 1/2 day photo shoots, editorials, barn promotion, and horse shows. Private photo gallery. Private photography session. Up to 25 digital images in a photo gallery. Private photography session. Up to 10 digital images in a photo gallery. Mini photoshoot with your horse or dog. 20 minutes, up to 5 digital images included in the session price. Perfect for holiday cards. "OMG Heather – I love all of them! You are so incredibly talented!!! Thanks for capturing so many great shots! Love, love, love them!! The only hard part is to choose!!" "It really didn't feel like we were being photographed- we had so much fun and I am so surprised at how many options we have with 'normal' facial expressions. You are an amazing photographer and made it such a fun and relaxing day." Published in Holistic Horse, Endurance World, Equestrian Living, Equine Info Exchange, Sport Endurance Evo, and more. To book your session, please review and sign the contract available to the right. Custom packages and commercial licensing available upon request. Please contact me at heatherpwallace@yahoo.com.